It’s just hard, dry, unused ground. I did not watch the rest of the message and I went to bed. A few hours later, I woke up with thoughts about this word “fallow”. Fallow is not a word we use these days, but it’s familiar to any farmer. It’s land that isn’t doing what land was designed to do. It’s just sitting there. It might have potential, but until the farmer does something with it. It is simply fallow. And, if it sits too long it becomes hard and unproductive, not producing anything, not doing what land was meant to do. My heart is like that too. When I’m not breaking up the fallow parts of my heart with the Word of God, with prayer, with time with God, it becomes hard, sterile and cold. “Break up the fallow ground” demands that I am aware of my dry places and that I have to do something about it! If I don’t… if I let those fallow parts of my life alone they become hard. Hard to God, hard to his Word and hard to others. It would be easier if God said, “Let me break up the fallow ground of your life” but He didn’t. He told me to do it. So if I care at all about growth, being of value to God, making a difference in the world and eternity it means I have to get involved! I have to get out the plow (God’s word), find those hard, dry places in my life and break up that soil with God’s word and time with God in prayer. Self-examination consists of looking at your life, considering your motives and actions. It means calling up your past and seeing its true character. It takes time with God, time in prayer, time in His Word and time to listen to Him. And, to be honest, when my heart hardens, prayer is the last thing I want to do! Hard hearts and fallow ground. Not exciting stuff. But watch a farmer as he takes a plow to that ground, turns it over, breaks it up and plants the seed. Then come back a month later, two months later and see what happens. All you see is growth. The same is true for the fallow grounds of our heart when we let God plant seeds of growth in our lives. All you see is growth. Growth that will change your life forever. Even hard hearts and fallow ground can be places of great blessing if we refuse to let our heart stay hard, dry and fallow. And what a difference a little work makes in the fallow grounds of our hearts! I’ve read where a few people have questioned why people would honor Prince. He was, after all, controversial, edgy and so on. I’ve asked myself why I was saddened last week when I heard of his passing too. It took me a few days to process why and I have finally come up with the answer. I can’t speak for everyone, but I can speak for myself. It boils down to this – Prince is a part of my story. Now before you fall off your chair from laughter, let me first clarify something. While I liked some of his songs, I am not nor have I ever been a purple rain loving, party like it’s 1999, little red corvette driving, let’s go crazy, raspberry beret wearing, sad when dove’s cry crazed fan. But to say that Prince wasn’t part of my story would not be telling the truth. I have written about it before but I have based almost every lasting memory around the music that I was surrounded by at the time of the event. For me, the music memories are so vivid that at times they overtake the memory itself. You see, music, invokes such memory that at times I can even remember the smells associated to those memories. A simple melody has the power to burn a memory in my mind—engraving its memory on me so that every time I hear it I return to that emotional place. I love that—the power of a song. I first felt the impact when I was nine years old. Listening to CKLW out of Detroit and hearing the song “I’ll Be There” by Michael Jackson and the Jackson Five. Over 45 years later, when I hear that song, it invokes memories of my brother Bobby. It was such a big song… #1 from October all the way through November 14th 1970. My brother was killed on a Thursday, November 5th. Normally, I have always struggled to remember my brother. I was five years younger and he was too old to really play with me when I was really little and at the age of nine, I was just a pest to him and his other fourteen year old friends. He was taken too soon and I never really got to know him. I was devastated by the loss but this song brings him back to me . I only think of him every time I hear it. It invokes good memories and softens the hurt that came so many years ago. It is when I remember him most. I could tell every story that is associated to a song that is burned into my memory. But that would be a really long post so I will just leave it at that. I am sure you understand what I mean. I will write about those memories and songs as I continue to write this blog. Music influences every post I ever write. No matter how well I map out what I am going to write, I can’t catch my flow of words until I have music playing in my headphones. And almost always it’s the music that reveals what I need to write about. While I always have music playing when I write, I can’t stop myself from singing along with it. I envy the writer and the way lyricists can tell a story in a few stanzas. I struggle to put a sentence together, let alone a song. It is one of the great mysteries of life that I ponder. The whole process of writing a song is one of the great mysteries in life. I do not have the talent to write lyrics and for me, someone who can write lyrics has truly a gift from God. My favorite artists are those that sing and write their own music. So, basically, for as much as I love music, I’m locked out of the process of making it. I really can’t sing, I can’t play an instrument, and I can’t write lyrics. But the artists who can? They rock. I wish I could do it. So there you have i t. Music is what I use to define periods of my life. Music tells my story. It’s that important to me. It allows me to write pages of my life and my music will tell you more about me than I ever will. I’ve learned that until you fully embrace your story, you can’t move forward writing new pages. The story will include good and bad. There will be wonderful memories and times you wish you could erase. Removing those memories, removes pages from your story. It minimizes what made you who you are. So now back to Prince. Prince was big in the early 80’s and at a time when I was in my college years. I was going to a Christian college and trying to hide the fact that I loved music. Most of which was banned at that time when I was in college. Rock wasn’t allowed and I had to be very discreet with my music. I was a young man trying to figure things out, in time when legalism flourished in the church. Anything with drums was taught as being evil and I tried to hide it as best I could. It was a time of friends and dates. It was the age of excess with big hair, fluorescent clothes and the music. I could go on and on and tell so many stories from those years. They are treasured. Sure, there were broken hearts and scars. There was puppy love and having no clue how to treat our dates. But we were writing our story. We were learning the mistakes to teach our children to avoid at all costs. The habits, the trials and the things our parents said we should avoid. These memories are locked into the music from that time. I’ll leave you with one last thought. My parents bought a VCR in the summer of 1984. Not everyone had one. We finally got ours. I had just returned from a summer of travelling across South Africa. I came home to find that VCR hooked up to our TV. I made my first trip to the movie rental place. The first video I ever rented and watched was one I have never had the guts to admit to until now. 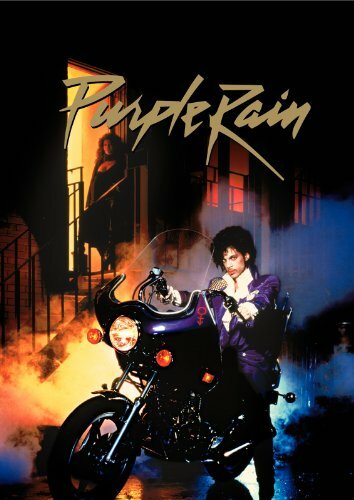 “Purple Rain” by Prince. Not exactly the way to bring confidence to the purchases you make. It was edgy. It was a little raunchy. It wasn’t a highlight for me choosing movies for sure. But now you know the rest of the story. What can I say? It’s a part of my story. I embrace it. I lived it, loved it, recovered from it and at times, miss the simplicity of it. That’s why I mourned Prince last week. I mourned another reminder that my story, my songs and my history is slipping away.